Hello Everyone! Welcome to the hop! Make sure to grab a beverage of choice, curl up in a blanket with your laptop and lets hop around and see all the talent our group has to offer here! The theme this month, is Anniversaries, Weddings and the challenge, to use silver on our card to celebrate the 25th Anniversary of Stampin` Up! Happy Anniversary, to a VERY awesome company! Here are my cards.. 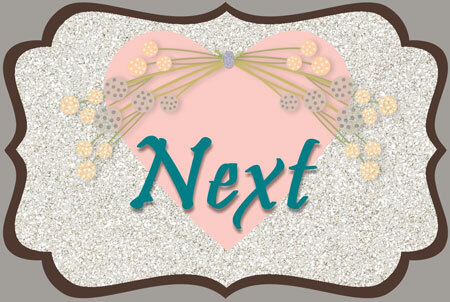 I decided to make two, one wedding and one, anniversary for Stampin` Up! Now, make sure to go around our blog hopping circle to see what others in our group have shared with you today! They are amazingly talented and I enjoy being part of this group every month! Take care.. have a GREAT day, and make something pretty! Oh my goodness! These are beautiful! I LOVE the wedding card…stunning! And the anniversary card is beautiful as well. As always, amazing work! Beautiful cards! I love all the details in both, from the embossing to the flags on the anniversary card. Thanks for sharing! CUTE, CUTE cards this month! I love all of the things you come up with and also love following your Pinterest feed! So glad to be a part of the hop with you this month! Dawn, dawn, Dawn….You have gone and done it again. All of your cards are fabulous but I was ever so delighted to see upon closer inspection the blingy rhinestones on the cake plate dangles. Oh so fabulous my friend! Beautiful cards Dawn. Love the gray and silver together! Dawn, these are awesome!!!! Such beautiful cards.